Doors are portals that open us up to curiosity and reflection. Who lives behind them? Where do they lead? What do they represent? 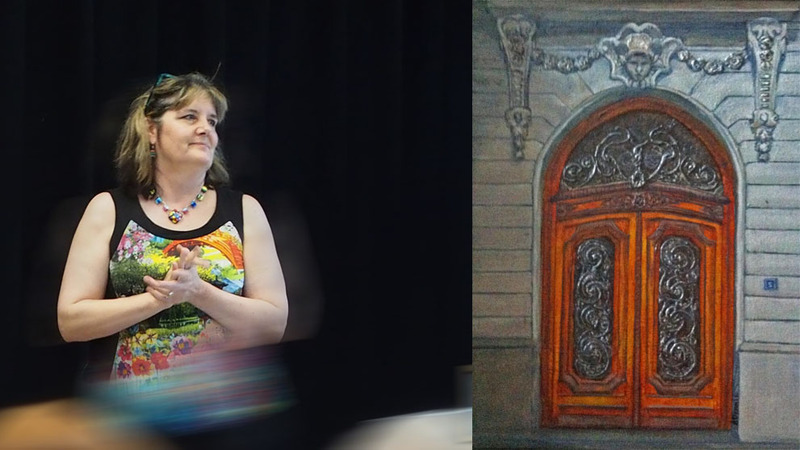 Inspired by doors in her travels, Joanne Dennis has created a series of portal paintings for us to discuss and explore. There will be time for questions and conversation following the talk. Refreshments are provided. This event is presented by the Surrey Art Gallery Association in partnership with Surrey Art Gallery, and with support from the Arts Council of Surrey.